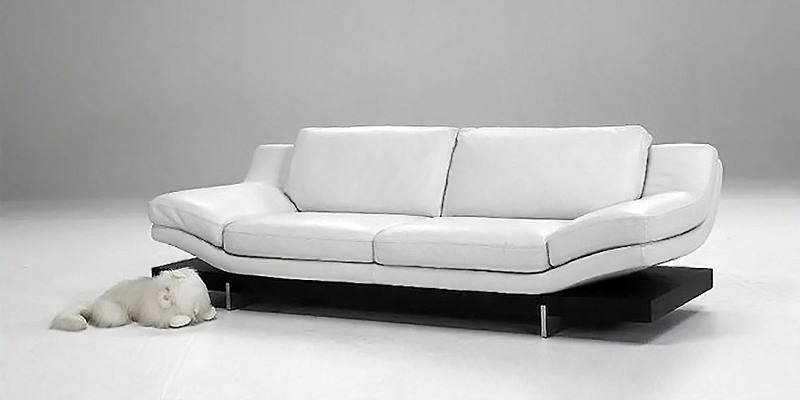 Modern looking leather sofa, available in two versions: with stainless steel feet or with wooden table base. Santa leather sofa with metal feet is a rare jewel filling your interior with elegance and modern style. The version with wooden base table gives you an additional possibility to save space in your room. Just stow your books, laptops, phones etc. under the sofa and find them quickly next time you need them. Comfortable and smooth seats and large curved arms will be highly appreciated by your friends and family gathered in your living room.